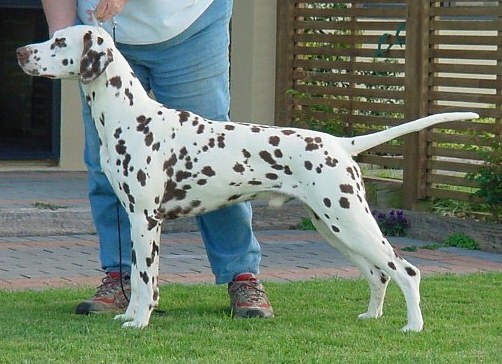 Sired by New Zealand's top all time winning Dalmatian, Zen is the total package. Beautiful spotting, lovely headpiece and ground covering sidegait. Zen is Woodwynd's first Coursing titled Dalmatian and he is in training for obedience and road trials as well. Zen was a Top Ten UKC Dalmatian in 2010, 2011 and 2012. Zen qualified for the 2013 AKC Obedience Invitational! Owners: Janet Crumpton & Mary-Lynn Jensen, Ph.D.